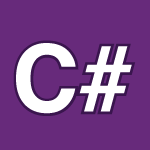 In this part of my C# tutorial I’ll cover threads in depth. With threads you can execute multiple pieces of code that share resources and data without corrupting it. I cover a simple thread example, sleep, a more advanced with lock, Priority, and how to pass data to a thread. For best results take notes on the cheat sheet provided above as you watch and leave any questions you have. If you like videos like this consider donating a $1 on Patreon.